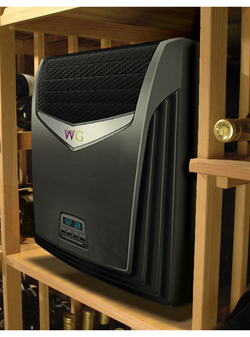 Discover what makes Wine Guardian the best climate control solution for wine storage on the market today. Wine Guardian systems incorporate cooling, heating, filtration, humidification, ducting, internal safety devices and low ambient control as integrated solutions. They are also capable of multiple installation configurations, including through-the-wall (flush, fully recessed or semi-recessed), remote mount, indoor or outdoor (protected appropriately from the weather). 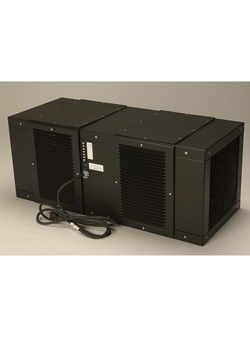 Versatile and self-contained, ducted systems offer maximum flexibility in design and installation, and have the cooling capacity to be used in any sized cellar. One of the most popular, reliable and least expensive styles used in private cellars is a “through-the-wall” configuration, in which a self-contained air conditioning unit is mounted literally through the wall.